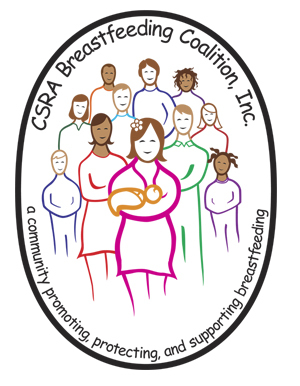 The CSRA Breastfeeding Coalition is a group of breastfeeding advocates from hospitals, public health, mother’s support groups, private practice, and the community who have organized to support breastfeeding in the Central Savannah River Area. The mission of the CSRA Breastfeeding Coalition is to work collectively to promote, protect, and support breastfeeding in the Central Savannah River Area. We believe that a network of partners who promote breastfeeding is needed to share ideas on the most effective ways to reduce community barriers to breastfeeding, to collaborate on how to provide breastfeeding training to health professionals, and to increase awareness of the benefits of breastfeeding to mothers, infants, and the community. Because we are a network of partners, we do not have one meeting site. 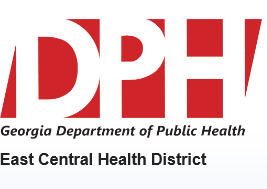 Different partners alternate hosting meetings throughout the CSRA, so that more than one different geographical area can be represented. We have set a goal of meeting at least four times a year. Individual committees, who are involved in planning events and activities, may meet more often. Meetings are held at different times of the day so that more partners may participate.